International planning students have contributed to the Robinvale Community Plan. Robinvale is about to benefit from a world of knowledge. Last month seven international La Trobe Bendigo planning students took their expertise to the Victorian river-side town. 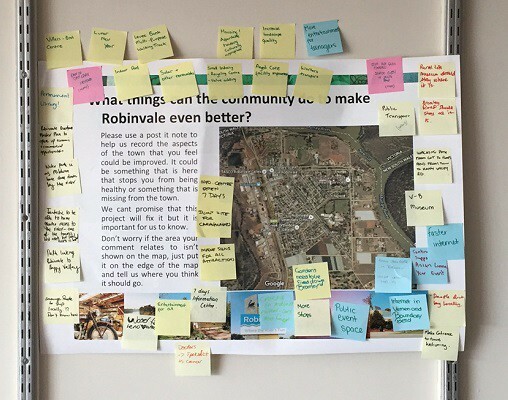 The PhD and masters students joined lecturers and Swan Hill Rural City Council staff to gather locals’ suggestions for updating the Robinvale Community Plan. The group spoke to over 200 people in three days in a melding of cultures and ideas. “It’s a really interesting, culturally diverse place,” said La Trobe planning lecturer Julie Rudner. According to ABS statistics, over 14 languages are spoken among residents. After English, the top three languages are Tongan (13.38%), Vietnamese (6.5%) and Italian (3.8%). “And at 10.8 per cent it has one of the largest Aboriginal and Torres Straight populations in the state, so it’s incredibly diverse,” Julie said. She said one of the challenges in such communities is to come up with policies and projects that benefit everyone. “This is particularly challenging since Robinvale’s usual population of 2,100 can swell to 8000 during harvest,” Julie said. The international students were invited to take part to ensure the research team reflected the diverse nature of the community. 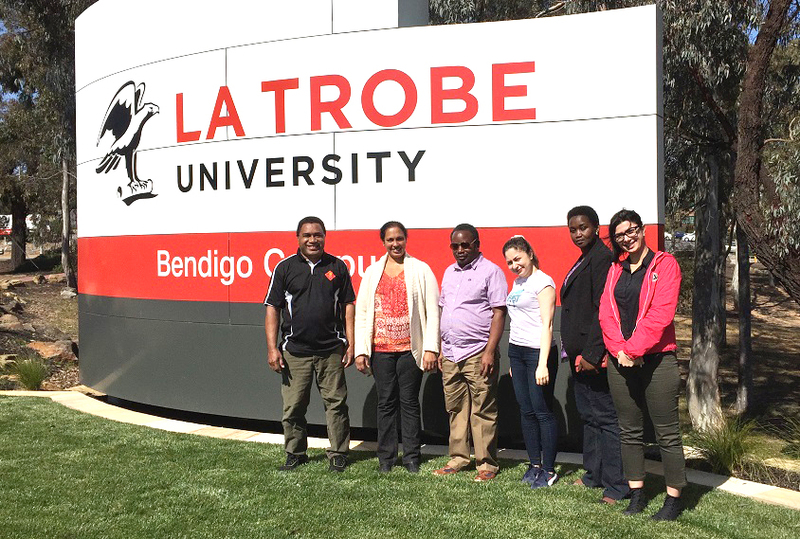 Students came from Iran, Ireland, Tanzania, Sri Lanka, the Solomon Islands and Vietnam, and most are at La Trobe thanks to Australia Award Scholarships. “We would not have gotten the quality of data we did without them,” Julie said. Julie also praised the passionate Robinvale community for its input. “We have never seen a community quite so engaged and caring about their future and we have run a lot of these projects, so it’s credit to the people of Robinvale,” she said. The student group included Fatemeh Shahani, of Tehran, who has worked as a planner in her home city for seven years. “We proposed a plan for the main street to the residents, then listened to their ideas and comments, and there were many interesting ideas that we didn’t know about,” Fatemeh said, citing a need for more green spaces, a children’s playground, family facilities and disability access. For Sophia Pasian Swai, the project came at the end of her three-year Bendigo course. Sophia is a community development worker in Tanzania, working predominantly with homeless women and children. Her interest in Robinvale was with the town’s youth. She spent time speaking with primary and secondary students. “It was good for them to be free to talk, and to talk to a professional who was listening to them. By involving them directly, they know they’ve been heard,” she said, adding the next important step was to provide feedback on what happens next. The group is now preparing a report to present back to the community.